Architectural arches and columns have long been the basis for most architectural forms. In fact, the Romans and Greeks used the diameter of the column as an architectural module and based all of a building’s measurements on it. Arches add their own unique timeless style that encourages this classical yet modern trend. As you might guess, there are many different types of arches based on shapes and number of centers. But basically, there are four styles of arches that are most commonly used in today’s modern homes. This semi-circular arch is commonly known as the Roman arch or the round arch. 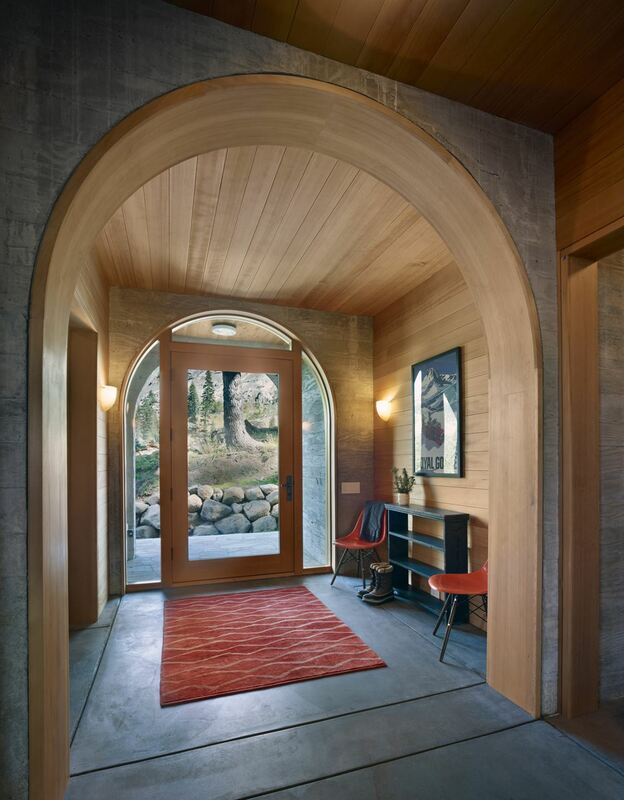 In this example, the rich wood construction of this arch is complemented by the cement walls and flooring. Encased by an arch with glass windows, the door opens to an entryway that leads through the magnificent wooden arch into the rest of the home. Another name for the Syrian arch is the segmental arch. It forms a partial curve with a small rise in the center which makes it semi-elliptical across the top. These arches open this kitchen up to the rest of the home with a robust welcome. This modern kitchen boasts a dark hardwood floor and contrasting creamy white cabinetry. The way the rustic brick contrasts with the countertops of black marble is also very striking. This style is broader than the traditional gothic arches of the middle age cathedrals. As you can see, they have a lower rise which is why we call them “flattened” gothic arches. One place you will find this uniquely old-world shape is in modern middle-eastern interior designs. The elegance that the arch lends to this interior wall creates a subtle statement of sophistication while the addition of lighting frames the shape with a soft glow. The Gothic arch is a narrow arch and was the successor to the Roman arch. This is the arch that dominated the cathedrals of the middle ages across Europe and the Middle-east. Additionally, this style is still found in many churches around the world as well as some modern homes. 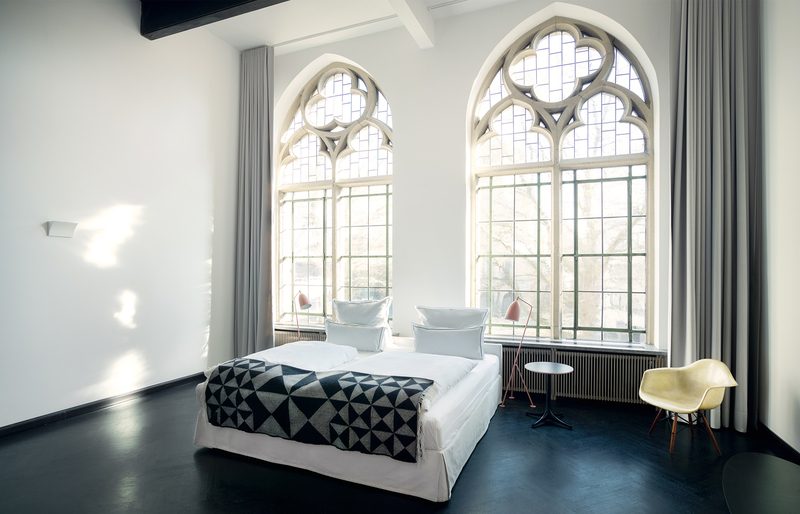 In this older, refurbished building, the gothic windows overlook a minimal interior of navy blues and shades of grey. Of course, there is little decorating needed for the rest of this room because the windows make a strong enough statement by themselves. This is a rundown of the most used styles of arches. However, this only brushes the surface of what there is to know about arches in modern interior design. If you think arches are something you want to incorporate into your home or business interior design, I recommend that you continue to research this exciting trend for 2019.